What does this mean? On painted wood doors, where the rail meets the stile on the frame, the paint will most surely show hairline cracks as the wood expands and contracts with seasonal changes. These cracks will be more noticeable in mitered doors than in mortise and tenon doors. The wider the rail, the more prone it will be to cracking. 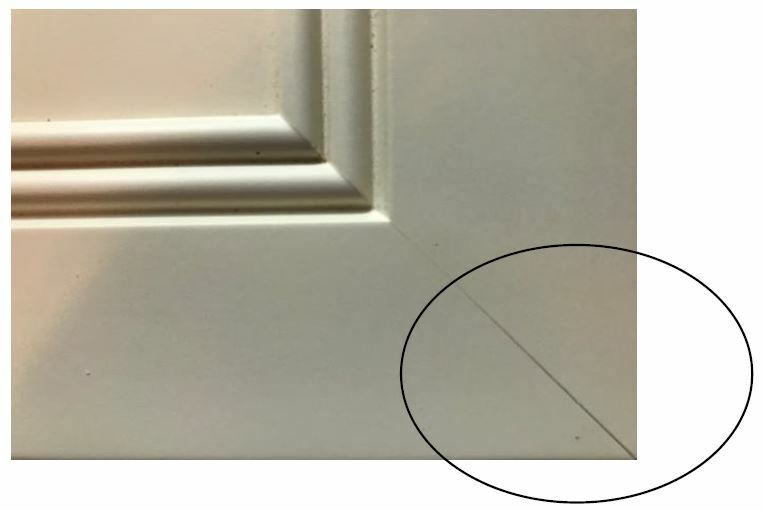 You may also see these cracks on your cabinet frames, as well. Not every joint will show hairline cracks, but some will. Light colored paints tend to show cracks more than darker colors. The same cracks appear in stained cabinetry, but they are not as noticeable because the wood grain camouflages the issue. Depending on what material is used in the center panel, there can be some finish issues to be aware of. This is a good place for us to talk about material selection. 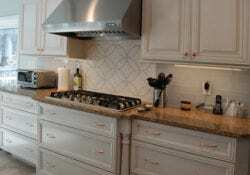 If you’re going with custom cabinetry, you have your choice of material. With semi-custom and stock lines, you get what the cabinet company gives you. Even if you are purchasing a stock line, the following information is good to have so you know how your cabinets will perform. Maple is a great wood to finish. It is relatively stable, very hard, and not overly expensive. But you will have the hairline cracks on the frame. If the center panel is made of solid maple, it can have little variations where the staves – the narrower pieces of wood that are glued together to make one large panel — meet. 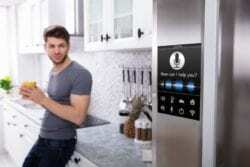 One might be slightly higher than the next, and this will telegraph through the paint and show up as little vertical lines in the doors or horizontal lines in the drawers. Also, as the wood expands and contracts with the seasons, you may see unfinished wood where the panel meets the frame. In my premier custom line, Hickory Creek Cabinetry, all center panels are either pre-stained or primed before assembly to ensure that a raw wood line is never visible in the event of a slight panel movement from humidity changes. We now know what the advantages and disadvantages are to the maple frame, but what if we use plywood for the center panel instead of solid wood? 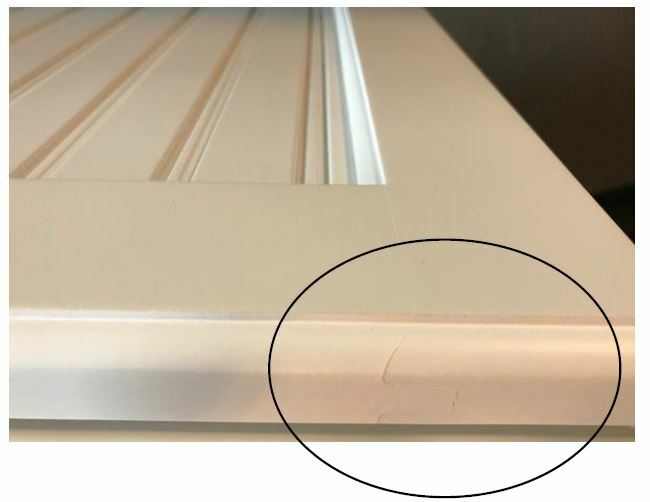 This will only work with a flat panel door, and while you don’t have to worry about the center panel expanding and contracting, you may find some small separations where two pieces of veneer meet. As a side note, doors with plywood center panels can feel a little cheaper, and have a “tinny” sound and feel to them. They also don’t cost as much. An MDF center panel will give you a perfectly smooth painted surface that will not warp, crack, shrink, or expand. MDF is a manufactured product made of heat-compressed sawdust and resins. It can be used as a raised panel or a flat panel. One disadvantage to using MDF on a raised panel door is that the shaped edges may have a little bit of texture to it, though I have not found it objectionable. The advantage to an MDF frame with an MDF center panel is the stability of MDF. There will be no hairline cracks at the joints, and the door will not warp as a Maple door could. I especially like using this material on tall doors that are more prone to movement. Again, the only disadvantage I see to these doors is the texture that may appear on machined profiles. 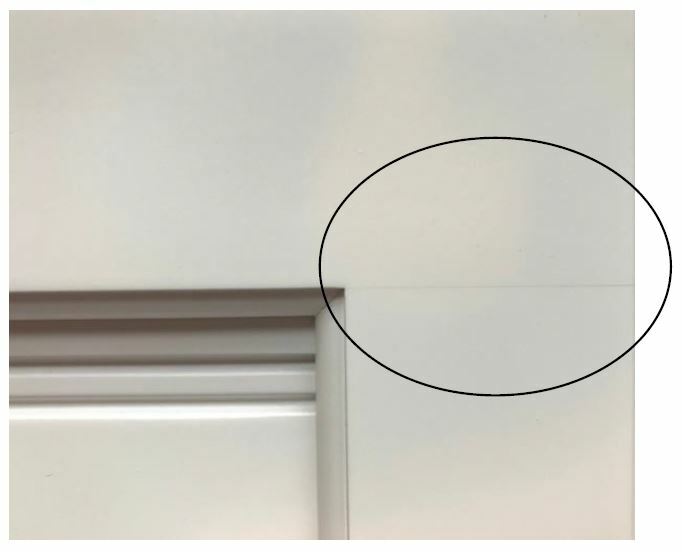 1-piece MDF doors will never have hairline cracks since there are no joints in the door. These doors are made by a computerized router cutting profiles into a sheet of MDF. 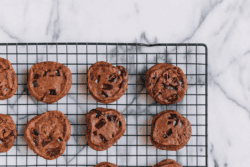 The disadvantage to these doors is that the profiles are not quite as sharp as those you get with wood, and if a flat panel door is chosen, they can be slightly more expensive. When using MDF, you will never see any grain, since this product does not have grain to begin with. With wood, you will see some grain through the paint, depending on how “close to the wood” the finish painting process is. For me, this is a desirable trait. Others may not want to see any grain at all. 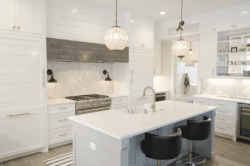 Now that you know more than most kitchen sales people know about painted cabinetry, you can feel confident in making the best decision for your new cabinets!